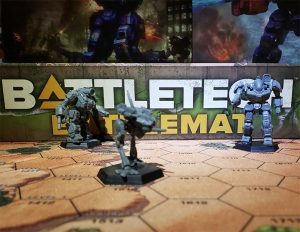 The subject of this article does not contribute canonical content to the BattleTech universe, either because it is not intended to or because it is not an official product. 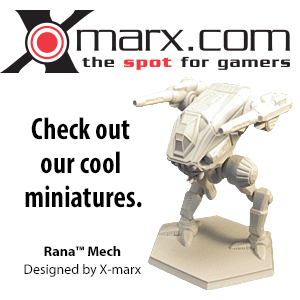 MegaMek is a freeware adaptation of the BattleTech rules that allows online and bot battles. It follows the rules from Total Warfare very closely and currently is adding the rules from Tactical Operations and Strategic Operations. The game is Java-based, so works on all operating systems that support the Java Runtime Environment. Players can create their own units with MegaMekLab. Maps can be created with an included editor. Scenarios can be created via text editor, or full single player campaign is available using MekHQ and the Against the Bot rules. MegaMek supports most common unit types, from infantry, battlemechs, and vehicles, to aerospace fighters, dropships, and warships. Ground battles as well as space battles can be played. The programs can be played via Network or Hot seat. The program includes a Bot opponent for single player. MegaMek is an open source project hosted on GitHub as of 2016. People who are interested in contributing to the MegaMek project are encouraged to visit the project website on GitHub or the Public Slack Channel. Additionally, this also supports online campaigns via MekWars . This page was last edited on 8 February 2019, at 12:09.